Yesterday, a swarm of cute puppers sniffed out the partial lineup for this year’s Lollapalooza, a music festival that’s more or less abandoned its indie rock roots to become one of the country’s preeminent destinations for Top 40 pop and hip-hop. Yesterday’s reveal promised sets from Janelle Monáe, Lil Wayne, Gunna, and Lil Baby, as well as crossover stars Tame Impala and Tenacious D. That could be a pretty sick festival on its own, but it was just the beginning—the full lineup dropped today, and it’s packed with some of the decade’s most chart-breaking and, well, viral artists. Ariana Grande and Childish Gambino lead the pack as headliners, with the likes of Twenty-One Pilots, Meek Mill, The Chainsmokers, and Kacey Musgraves also bringing some major star power to the four-day event. The Strokes, of all bands, are now the festival’s nostalgia act, joining Death Cab For Cutie as the festival’s nod to the indie of yesteryear. There’s still some good rock to be found, though, with Mitski, Mondo Cozmo, Japanese Breakfast, and Sharon Van Etten (buried way too far for our taste) anchoring the mid-fonts. But, as has been the case for years now, this is a pop-forward festival, and Tierra Whack is bound to make a much bigger splash at the event than her minuscule font indicates. 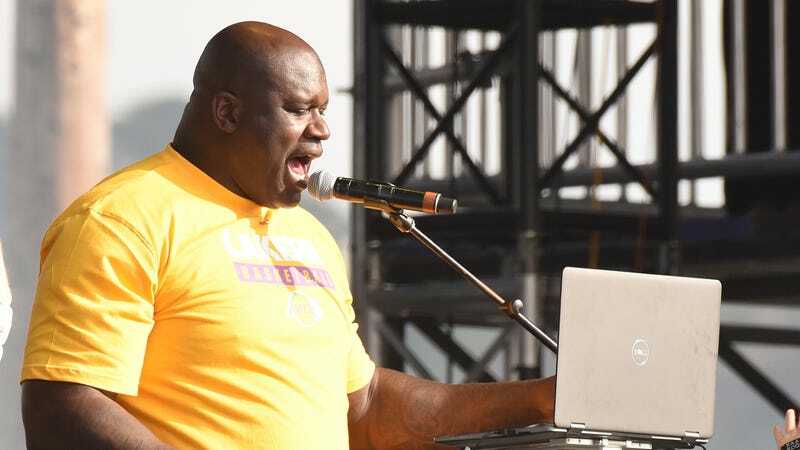 But, you ask, will she gather as many wild souls as Diesel, the DJ nom de plume of Shaquille O’Neal? Time will tell, children. Lollapalooza turns Chicago into a nightmare from August 1 to 4. Get tickets here.